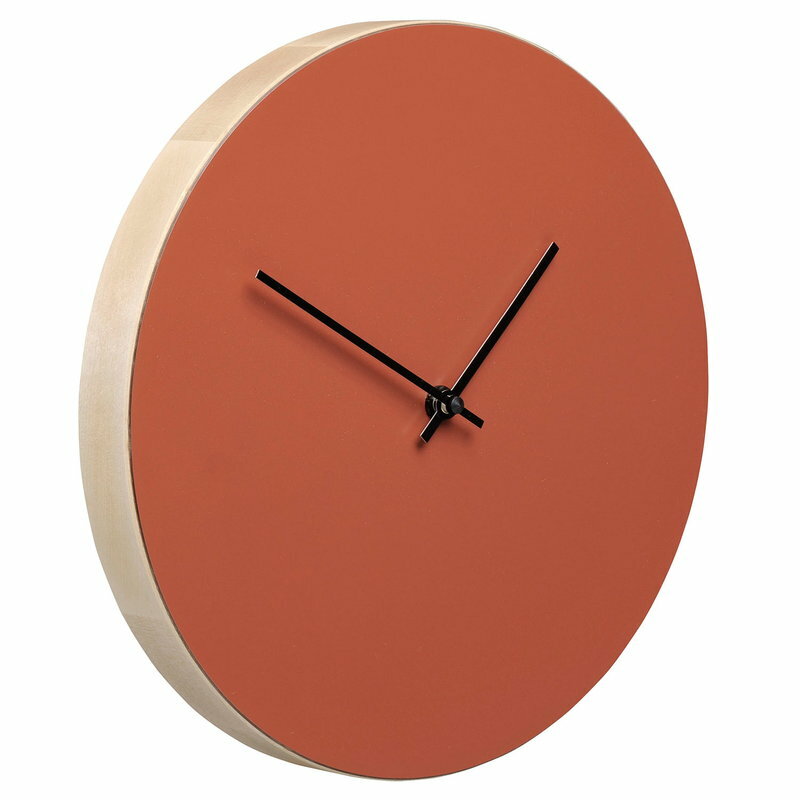 Kiekko wall clock, designed and manufactured by the Finnish Muoto2, features a simple clock face with sleek hands and coloured laminate surface. Edges of Kiekko are natural birch. The clock has a high-quality German machinery that runs completely silent. The playful minimalism of Kiekko brings joy to homes and public environments alike. 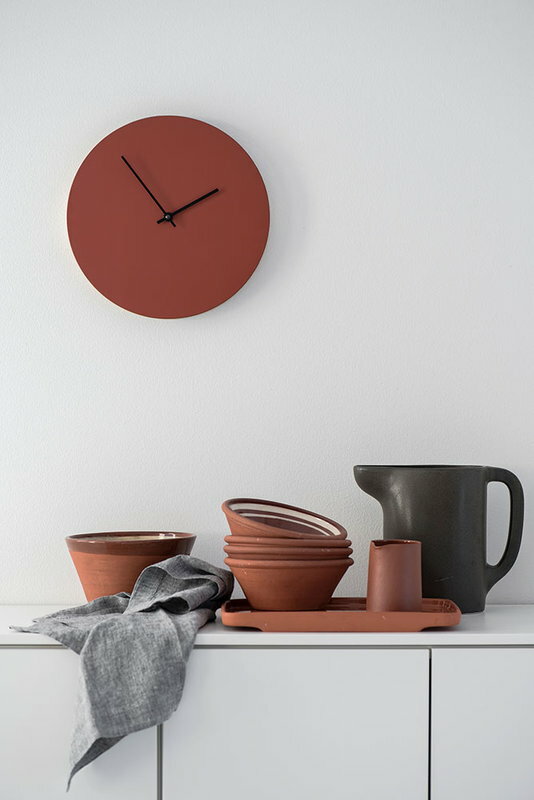 Designed by Kirsi Pasanen and Mikko Kentta from Muoto2, Kiekko wall clock has been manufactured in Lahti, Finland.